We are now 4 events into the RS Aero UK Winter Series and have seen some great racing and fantastic turnouts, enjoying the mild conditions and good breezes so far. All but Yorkshire Dales have seen 20-30 RS Aeros turnout, making the class one of the largest at each, incredible after just 4 years! Already 59 RS Aero sailors have competed at least one event and 17 have a ranking with their best two events currently to count. Once again this winter RS Sailing are kindly putting up a 50% discount voucher for a new RS Aero sail and everyone who competes at 3 of the 10 event winter series will qualify into a prize draw for that. 5 sailors qualify already and that number will quickly increase in the forthcoming weeks. Noah Rees won the sail voucher from the draw last year and went on to be top Youth at the Weymouth Worlds and Inland Champion too - it could be you! Youth sailors are continuing to make their mark on the UKs RS Aero racing with 3 of the first 4 events won by under 19s! 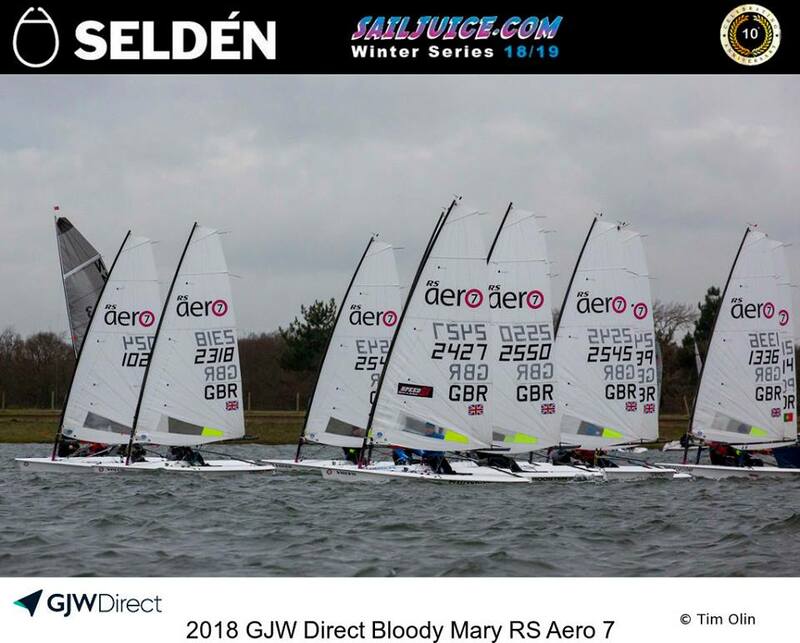 Chris Hatton (Bowmoor) won the larger RS Aero 7 fleet at the Bowmoor Bubble in December whilst Tim Hire sailed tidily at both the Grafham GP and the Bloody Mary to take the Class wins and do us all proud overall too. at which we have seen 40-50 RS Aeros in the last two years and this year we will have international visitors! Sign up now to come and enjoy the winter fun - just like summer, but with an extra layer!